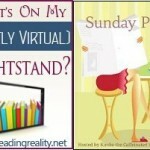 The Sunday Post AKA What’s on my (Mostly Virtual) Nightstand 10-7-18 – Escape Reality, Read Fiction! 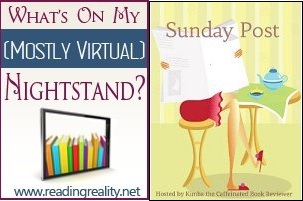 Welcome to the “I have no idea what I’m doing this week” edition of the Sunday Post. I’m sure about tomorrow, because I’ve already finished the book. And I’m sure about Wednesday and Thursday, because I promised that those would be the days. Tuesday and Friday, especially Friday, aren’t nearly so certain. The political mess in the US has me so upset and angry that I’ve been retreating into fanfiction just to get some guaranteed catharsis – because I need to read something where the good guys do win – and Facebook sure isn’t helping at the moment. I’ve also decided to turn off the radio in the car and just listen to audiobooks – because there’s only so much a person can take. If you have any recommendations for great books that are guaranteed to instantly take me far, far away from this mess (I know it’s only temporary but a bit of distance sometimes is needed), please let me know in the comments to this post. THANKS! 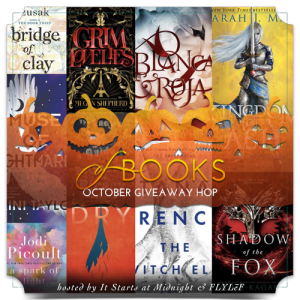 The winner of the $10 Gift Card or $10 Book in the September Of Books Giveaway Hop is Audrey S.
The winner of A Tall, Dark Cowboy Christmas by Maisey Yates is Linda R.
If I think of anything else, I’ll add it. Good luck! I’ll have to take a look at the Penrose – they do look interesting. 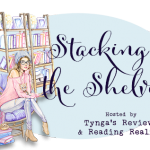 I loved the first Daughter of Sherlock book but was so-so on the second. 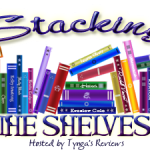 If you’re looking for more Holmes, the Kareem Abdul-Jabbar Mycroft books are very good. Thanks! 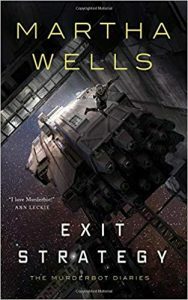 I will be listening to the Wells series on audio and cannot wait to begin.